Whether individuals support explicit conversations regarding firearms or they tiptoe around anything related to the second amendment, it’s important for South Carolina residents to understand their ability to use deadly force against another person, as stated in the Stand Your Ground doctrine. The Post and Courier explains that in the United States, criminal law has typically contained a duty to retreat, meaning that a person who is in danger has historically been obligated to retreat before resorting to violent self-defense. By contrast, the Stand Your Ground laws seem to encourage the use of violent self-defense, rather than attempting to get away. What’s more is that if the law is implemented in such a case, the Stand Your Ground laws offer immunity for individuals forced to defend themselves. As another concept and primary basis for the Stand Your Ground laws, the castle doctrine also supports a person’s right to use deadly force to defend themselves in places where they maintain possession or ownership. In other words, if an intruder enters one’s property, and a person feels that their life is in danger, they may use violent means to defend themselves and their property. Beginning in 2006, this law expanded to cover properties other than one’s home, meaning that even storekeepers and motorists can claim the doctrine when warding off an attack or potential threat. Without question, proponents of the Stand Your Ground laws are passionate in their belief that these laws are important tools used to protect victims from a life-threatening attack. Even so, the laws remain controversial, and opponents criticize the legislation in promoting a “shoot first” mentality. Whatever side you’re on, it’s important to understand your limits under the law. 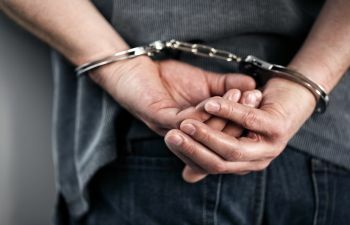 If you are forced to defend yourself on your own property, for instance, it is likely that you’ll still be arrested, even if you are seemingly justified in your actions. Meanwhile, obtaining the expertise of a qualified criminal or gun injury lawyer is paramount to help determine if your actions fall within the parameters of Stand Your Ground. Having litigated a wide variety of cases, Attorney Taylor Anderson maintains a passion for helping clients throughout Charleston, West Ashley and James Island. Taylor understands the unique challenges that individuals face when it comes to defending their rights under Stand Your Ground laws, and that’s why he devotes ample time and energy into each case. To discuss your specific case, contact The Taylor Anderson Law Firm today.